for $157,000 with 2 bedrooms and 2 full baths. This 1,110 square foot home was built in 1983. Beautiful and immaculate condo in the desirable Township. 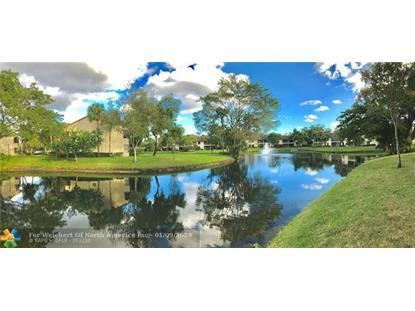 Enjoy serene water views daily from the screened patio.This first floor condo offers tiles throughout, newer a/c, know down ceilings (popcorn was removed). Washer and dryer in the unit. Indoor cat allowed, no dogs, as per the association rules. The patio has rolladen shutters, hurricane impact windows. Resort style amenities of the Township offer a heated Olympic size pool, Aquatic/Sports Center, tennis courts, gym, playground, clubhouse with full kitchen, basketball courts, theatre and ballroom, plus the pool at Pond Apple Place. The complex is centrally located with easy access to major highways, great Restaurants and fabulous Shopping.